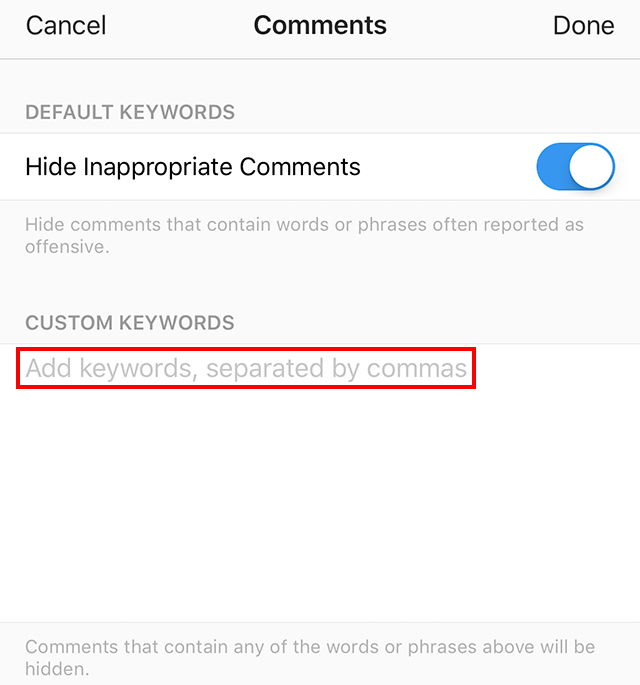 Did you know you can have Instagram automatically hide comments that contain offensive words or phrases? 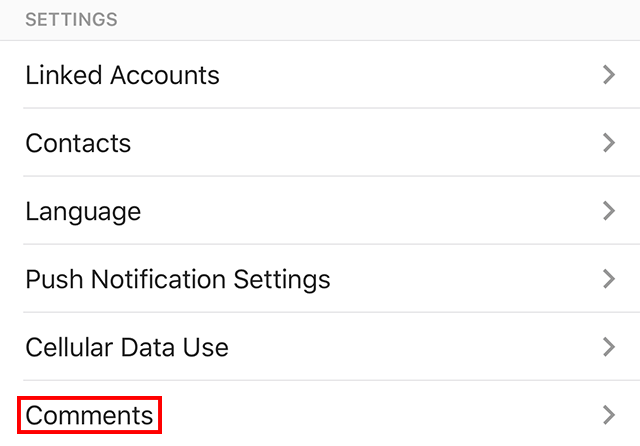 Our guide will show you how to activate this feature within the Instagram application. Note: You can customize your experience even further by having the app hide comments containing “Custom Keywords” you designate. To do this, type the desired keywords and phrases in the Custom Keywords box on the Comments settings screen.